Coming together is the beginning. Keeping together is a progress. Working together is success. Stills Network is a specialize team of Assistant Photographer. Beside our specialize team of assistance photographers, we also provides state-of-the-art camera and equipment rental, as well as studio space. Give us a buzz if you are interested in our services or like to be part of our team. We are always interested to hear from you. As part of Johnnie Walker's sponsorship of the Vodafone McLaren Mercedes Formula One Team, global creative innovation agency Iris Worldwide is tasked with developing the brand's 'Join The Pact' campaign. This social responsibility initiative asks consumers worldwide to join the McLaren F1 drivers Jenson Button and Sergio Perez, along with Johnnie Walker’s Responsible Drinking Ambassador, Mika Häkkinen, in signing a pact to never drink and drive. My team and I were commissioned to fly to Shanghai this past April to photograph Mika standing in front of a Mercedes-Benz S63 AMG and a McLaren MP4-C12 on a Pudong pier. Already it was a technically challenging brief, as lighting and photographing cars always is. However, making the shoot even more difficult was that we needed to account for both Jenson and Sergio -- leaving space for them in the frame and lighting accordingly -- as they were unable to be present at the shoot. It was among the largest outdoor sets that I have ever worked on, taking my crew and I more than eight hours to set-up and prepare ahead of Mika's arrival that evening. This is a time-lapse of the photo shoot. Shortly after I photographed Mika and the cars in Shanghai, British photographer Leo Cackett shot Jenson and Sergio at McLaren's factory in Woking, UK. They were then composited into the template we created in China to complete the final 'Join The Pact' advertisement. 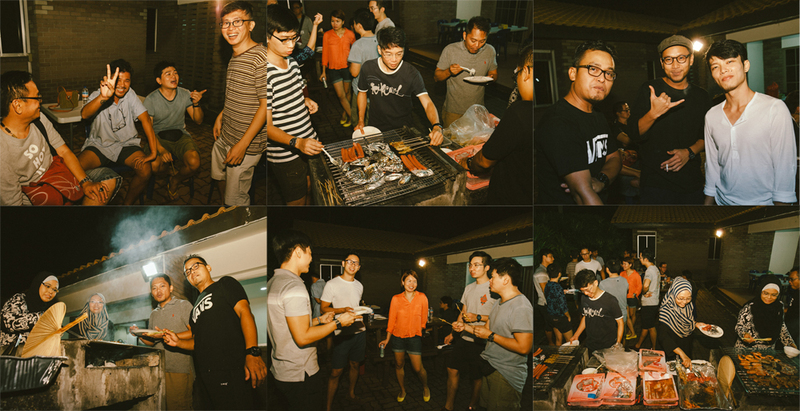 2016 was a fruitful year for us as we organise and hosted a Assistant Backyard Barbeque at Aloha Loyang Resort to celebrate the new year together. It was our 10th Assistants gathering and we have invited our fellow assistants and photographers to come together and mingle around and to share their experience and knowledge. It was also a great time to catch up and enjoy the great food while we meet both new and senior assistants together. We hope to bring together the assistants and photographer to forge a better and stronger relationship.